The Gutenberg Editor is WordPress’s latest release. So what is it? Gutenberg is a project piece being undertaken to revamp the way we WordPress. The recent release of the Gutenberg Editor is the first of the overall project to improve the user and editing experience. The layout of the content fields has not been updated in over a decade, and so Gutenberg has brought about an overhaul of the user experience, whilst making the editing screen easier for non-developers and advancing with technology and design in the industry. As phase one, Gutenberg is laying the foundations for phases two and three over the next few years which should conclude with total site customisation, and hopefully all of the bugs and nuances ironed out. Putting it simply, the new Gutenberg Editor is a plugin that will be rolled into WordPress 5.0 to replace the current TinyMCE Editor you are currently using to write, edit, and publish your posts, pages and content. Gutenberg is going to revolutionise the way you use WordPress, edit page templates and ultimately how you customise your entire site. By the end of the project, you will be able to build your site from the ground up using the new Gutenberg integration. Gutenberg is tasked with providing you the ability to visually edit your site and customise the finer details. The Gutenberg Editor is still only available as a beta plugin for your site. We just wouldn’t recommend using it on your site until it has been fully released, the release date has been set for 2018 so Gutenberg could be with us any day now. Gutenberg is scheduled to be released with WordPress 5 as the default editor; so until its release you can still use your classic editor. Gutenberg operates on a drag and drop basis rather than coding or manipulating templates. The Editor allows you to building your site with blocks rather than traditional sections. Gutenberg switches up the traditional single edit field, replace it them with various blocks. With Gutenberg, you can write your post entirely in the editor if you want to, or use a program like Microsoft Word or Google Docs to write it, then copy paste and have it converted to blocks by Gutenberg. It doesn’t get much easier than that. Blocks are sections of the website that can be edited and manipulated independently. Developers are now also able to create their own blocks which can be made available as plugins so you could have multiple WordPress Developers contributing to your site. Blogs can also be drag and drop edited and have its own individual background colour or pattern. All because the blocks are treated as individuals not grouped by common attributes. Put simply, Blocks are flexible and easier to control. They also allow for more complex designs for your site. There are a number of types of blocks available in the new Gutenberg Editor. From formatting blocks to widgets, images to elements and common blocks. There is something to get everyone started. There is even a YouTube block for embedding a relevant YouTube video. Does Gutenberg have any flaws? There are a few flaws that keep Gutenberg from being the best editor it can be. It is not quite at the stage where it replaces all other page builders, although is earmarked in the future to eliminate the need for basic page builders for regular content or standard pages. WordPress developers are still working out some of the kinks and bugs with Gutenberg, but there are still two glaring bugs that are holding Gutenberg back. Having column blocks available and drag and drop in its true form. Currently, both are in beta testing so should be worked out soon. Until then they are pretty basic. Other long term page builders offer different features as well. From multi-column support to premade templates and advanced styling. Gutenberg will be developed to provide the same tools, however in its initial release is not ready for creating complicated pages, just yet. Still want to install the editor to see what all the fuss is about? Or simply would like to get a head start on the changes? 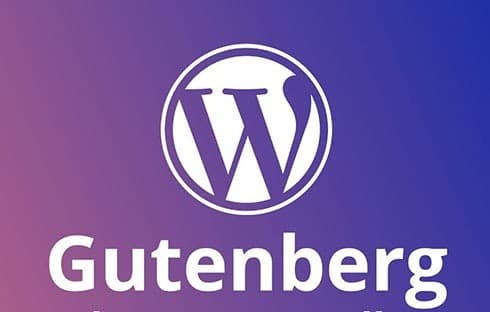 We have included the instructions on installing the Gutenberg Plugin prior to its release as an integration in WordPress 5.0. We do recommend only installing in a test environment for the moment, just while it remains in beta. That way your testing and playing around won’t affect your live site. Gutenberg has been brought about to streamline the way you edit your site, but without releasing it fully to the public to test, there will always be kinks to work out. Once those kinks are worked through, you will have a platform to design and build your site that is easy and stress free. Until then, you can get the hang of things by using the plugin, in a test environment. Installing a plugin is a simple process. In your admin screen simply go to Plugins and add new. Search for Gutenberg and then select Install Now and then activate. Once activated your editor will have changed across your site to the Gutenberg Editor and you are now free to get a feel for the editor. Extension plugins are available for Gutenberg with their own customisable blocks. You can find more information and a thorough list on the WordPress site. So what happens when it all goes horribly wrong? Can you roll back the Gutenberg plug in? The good news is yes you can. Introducing the Classic Editor Plugin. Recognising that whilst Gutenberg will be celebrated by some and hated by others, forcing a blanket change to all of the WordPress users around the world doesn’t seem fair. As such, WordPress have released the Classic Editor Plugin. The Classic Editor reverts back to the TinyMCE editor for those who are more comfortable with the classic editor. It hides the Gutenberg Editor completely and reinstates the edit post template along with allowing alternate links to appear to open other pages for editing in the Classic Editor. The best part about the Classic Editor is probably that it hides the prompt to try Gutenberg as well. If you are really struggling with the Gutenberg editor, or it causes your site to stop functioning at its best, you can go into the Settings panel and into the Writing screen. From here there is an option for Classic Editor Settings. Toggle on the option ‘Replace the Gutenberg editor with the Classic editor’. Now it’s almost like the Gutenberg Editor was never anywhere near your site. For the majority of WordPress users, Gutenberg will be a welcome update that allows for seamless updating and creating sites, although there will always be a few teething issues. After these are worked out, Gutenberg stands to be an effortless content and flexible creation experience. Gutenberg brings those without development skills to naturally create multifaceted and intricate layouts with added elements they may not have been able to effectively create using the classic editor; such as buttons, embeds, and widgets. If you run into any trouble, please let us know, the WP EZI team are happy to provide WordPress support, whether you are a regular customer or it’s a one off issue. Contact us via live chat today, it’s just in the bottom corner.